Chris from Event Exchange recently hired the Hog Roast Southam team for his event which he hosted at the Dallas Burston Polo Club, in Bath. The event was hosting 320 people and, therefore, Chris needed to ensure that every guest was satisfied and well fed. It was very important that there would be plenty of food for everyone and all the guests would receive their food in a small-time window. This was the perfect event for the Hog Roast team as they could provide a variety of food for at high quality and quantity. Due to the huge guests list, Chris’ guests would desire different foods and, therefore, the Hog Roast team were able to provide different main meats so all of the guests would find something they loved. Chris chose Menu One and 250 people had picked the pig, while 50 people preferred the turkey option. The Hog Roast Southam team also provided a huge variety of side dishes to complement the main meats for the guests. 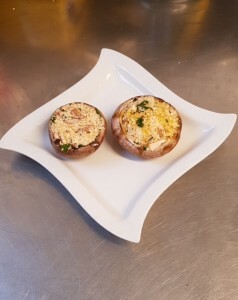 Twenty guests also desired a vegetarian option and were served with fantastic portobello mushroom and halloumi burgers. Greg, the head chef, ensured that all the guests were served at the same time and everyone’s food allergies and preferences were catered for. The food was enjoyed by all the guests and it was fantastic to see everyone find something that they really enjoyed from the Hog Roast. The Hog Roast team also served 250 mince pies with cream to their guests. This feature of the Hog Roast Southam team makes them great for any event as they can adapt their skills easily to suit the degree of formality and size of your event. The Hog Roast team also offer various puddings on different menus and these are presented beautifully to suit the more formal occasions. The event was a fantastic success and the food went down brilliantly with the guests. The service ran very smoothly and all the food was served on time in the short window required. Overall, the guests were pleased with the meal they were provided with and the vegetarian option was well received.